The nights are starting to get cooler here, and even though it's kind of early yet we've been waking up to 40 degree mornings. This is the time of year when most perennials and annuals have already finished blooming for the year. In spring when I am putting my flower containers together I also tuck annual seeds into my containers and throughout the garden. 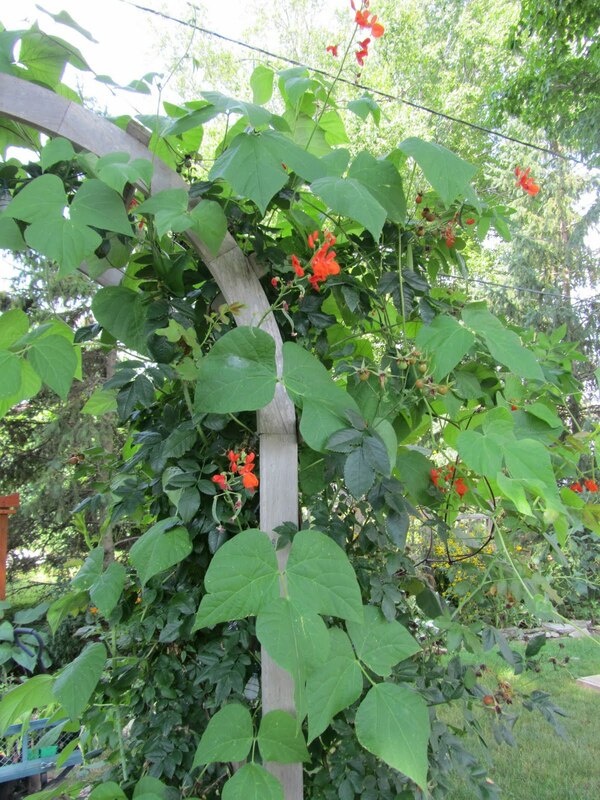 Some of the annual seeds I plant are: scarlet runner bean, painted lady bean, hyacinth bean, morning glories, nasturtium, and four o'clocks. Impatients that were planted in spring will bloom all summer, and now that the weather is cooler with rebound and come back even bigger and better until the first hard frost. This arbor holds my climbing roses which stop blooming by the end of summer. 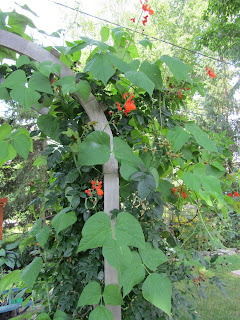 I plant scarlet runner beans, painted lady beans, and hyacinth beans around it in spring to have fall blooms. Grandpa Ott Morning Glory in planter box. Four o'Clocks add color to a sunny corner of my garden. Heavenly Blue Morning Glory and Nasturtium add late summer color to this garden bed. I love the heavenly blue morning glory...it stands out from the rest of the blue hues in the garden. The heavenly blue are my favorite too!